The next time agents or advisors say they don’t do tech because that is for young people, ask them two questions. Do you have a digital watch? That might be all you need to trigger a flood of laudatory comments about the GPS apps they use to improve their game. Byrke Sestok swears by his Apple watch for guidance on the course. As a 41-year-old financial advisor, he can be considered a kid in the financial business — especially compared to insurance agents. That is true on the golf course as well. The watch helps off the course, too. Sestok uploads the data for analytics, much like a client can keep an eye on goals with a financial app. “It allows me to tie my handicap index into the app and monitor it and I can upload my rounds directly from the phone data,” he said. So, how is it the same technophobes who prefer pen and paper will take to golf tech? 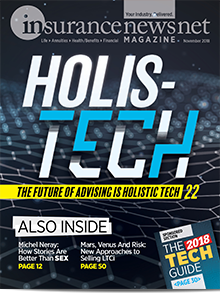 And if advisors are passionate about holistic advising — or they want to be — they will need to become comfortable with tech. 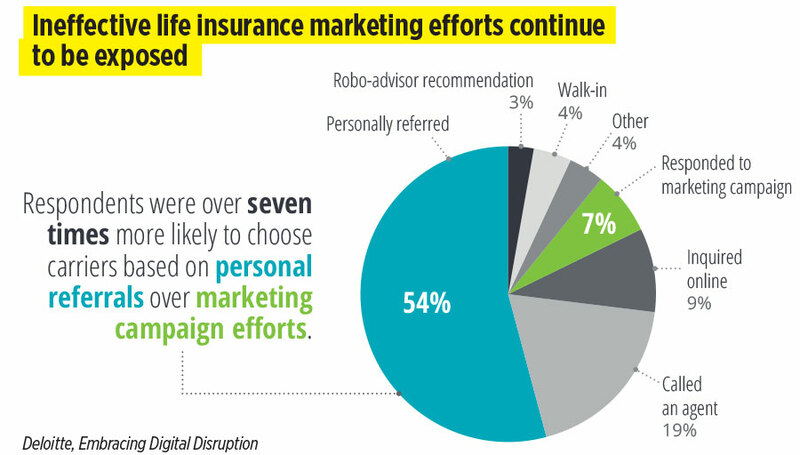 Insurance companies are turning to holistic advisors. And clients are raising their expectations of all advisors. Consumers entering the target years for insurance and financial advice are not content with pen and paper and “just trust me” advising. 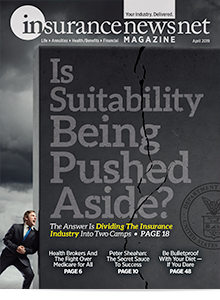 Even insurance companies traditionally focused on products are taking to the diversification message. 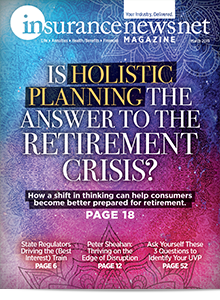 In a survey conducted by EY, life insurance executives said they understood that consumers want holistic advising that explores options. The execs also know that tech will build the bridge to get the industry where consumers want it to be. Tech is even key to targeting middle-income consumers, a demographic that insurers acknowledge is underserved. The EY report cites “the economics for advisors” as a major hindrance to reaching this segment — a nice way of saying that there isn’t any money in it for advisors. But it can pay for companies and sellers through tech that eases and accelerates the sales process. No wonder, the report writers said, that advisors have been moving up-market. But despite the gold rush, even the wealthy market is underserved. Surely, advisors must be clustered way at the top of the wealth pyramid. Wrong again. “The lack of qualified advisors is especially acute relative to the ultra-high-net-worth market (individuals or families with assets greater than $30 million),” according to the report, which added the additional factor of new generations of consumers that the Deloitte report had identified as the Re-wired Investor. So, will carriers and perhaps wholesalers build a digital bridge straight to the consumer? They have tried, but companies found out that although the bridge has one access point, it has many off-ramps. Insurers discovered what online retailers know as cart abandonment, when consumers start the buying process but bail before ringing the register. 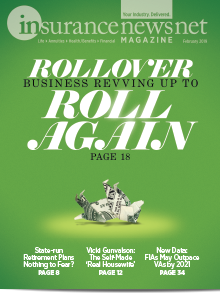 Nationwide ran into that tendency last year when the company tried to sell an annuity online in Arizona. After six months, the carrier realized that consumers want a human to jump into the process at some point. But how prepared are advisors to take on more of a holistic role? Sestok said tech is essential to making it work from prospect to plan. It takes software. It is one of the many tools he has adopted to help automate important functions. Ever since the 2008 financial crash, Sestok has been sure to gauge client risk tolerance accurately. Otherwise, clients may not stick with the well-laid plan the next time markets go south. Sometimes that answer is “no, full steam ahead,” but it is the clients who are doing the choosing with their eyes open. The risk analysis is just one of the tools he uses for holistically advising and keeping clients in contact. He uses a Redtail customer relationship management system, one of the more commonly used CRMs for financial advisors and insurance agents. He uses eMoney Advisor Pro for financial planning. Clients can log on themselves to answer their own questions and the program can alert the advisor when that happens. Sestok has a website for his practice and his bio page has a button that says “schedule” on it. That connects with Calendly, which allows prospects to schedule a 15-minute call with him without having to talk to anybody. And more important, not taking staff time to talk with him. Sestok is an LPL Financial advisor but he does not rely on the company for his tech. He supplies his own software and keeps his data, rather than store it with LPL. That was a hard-learned lesson for him. It is not a mistrust in the company. He just doesn’t want to repeat what happened when he left another large firm years ago. He was able to retain clients in the move, but not their data. So he had to start reporting from scratch. Then he got his own eMoney software so that when he moved to create Rightirement, it was not as painful. And although he could access a CRM through LPL, his firm has its own subscription to keep the data securely in-house. 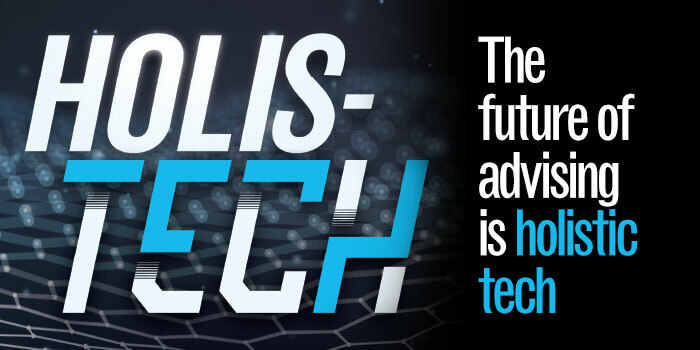 Sestok’s reluctance to participate fully in LPL’s tech offerings is part of a larger disconnect that confounds efforts by financial and insurance companies to develop tech initiatives with agents and advisors. Clearly, opportunity exists. In a Deloitte survey with more than 1,600 25-to 54-year-old consumers released earlier this year, people said they were eager to use a digital platform to research life insurance options. In fact, 90 percent said they would but they also said they would be willing to manage their accounts that way. So, agents and advisors are integral to the sales process but independents are stubbornly disconnected from the carrier’s system. Insurance companies have a long history of trying to go digital and automate. In fact, some of those earlier initiatives from several decades ago are coming back to bite companies. That’s because insurers are having difficulty retrieving data from systems using technology long buried by generations of successive tech. And the companies’ effort to connect tech with independent agents has been around since there have been independent agents. Robert McIsaac, senior vice president of research at Novarica, a tech advisor for insurance companies, remembers those days clearly. He started with Prudential in 1978, when companies were trying to establish tech norms with a distribution system that was slipping away from their grasp. Companies at that time behaved as if they still had primacy and could dictate terms. But McIsaac saw that was no longer true with the advent of independent distributors and agents. Companies accustomed to having a captive sales force did not have the same level of control over the third-party sellers they were ceding distribution to. As he predicted, the market itself shaped the platforms for processing, mainly Ebix and iPipeline. But the distributors are facing the same tension that financial advisor Sestok has with LPL. Insurance agents want to keep client data in their house. They want their own customer management system. McIsaac said that ends up being a tug-of-war. One of the players at the center of that tug is iPipeline, which started in 1995 as Internet Pipeline, back when the internet was being called The Information Superhighway. More than two decades later, acceptance is still an issue among sellers. Tim Wallace, iPipeline CEO, said the industry is still trying to get agents to input customer data directly into the system. Often the agent will fill in a 20- to 40-page life insurance application and either give it to an administrative person in their shop or pass it to a distributor. Besides being inefficient, the transfer from handwritten to electronic forms slows the underwriting process to a crawl. Why? Errors. That means with paper applications, the whole process is close to two months long. With an e-app, it drops to a little over two weeks. If an agent is doing a high volume, Wallace finds that if an agent does about five apps electronically, they are likely to stick with that process. So, what does an ideal e-agent look like? But who will lead the agent to the e-water? It is tough to say, because independent agents can easily move on to another marketing organization if they become uncomfortable. That puts carriers in an increasingly difficult position because regulators are demanding documentation to show compliance. That puts distributors in the middle of serving carriers and agents — marketing organizations such as Crump Life Insurance Services. Crump, based in Harrisburg, Pa., is a top marketing organization for traditional insurance agents. The IMO is accustomed to processing paper applications from agents and tries mightily to get agents to submit electronically. That e-acceptance is still slow, without much prospect of gaining much acceleration. But a fundamental aspect of the business is changing. As the insurance industry turns to financial advisors and holistic planning, Crump is expanding to provide a wide array of products to cover a span of a client’s needs: long-term care, disability, life and annuities. Besides the addition of financial advisors to the company’s base, Crump is finding another outcome, a growing acceptance of electronic filing. Or more accurately, an acceptance to have Crump file for them. By integrating with financial planning tools, Crump also plugged into a practice that financial advisors are used to – drop tickets, said Ron Alexander, Crump’s senior vice president of direct-to-consumer services. This is where Crump’s integration with financial planning tools comes in. The advisor and client can then watch the process progress through a tracking system. 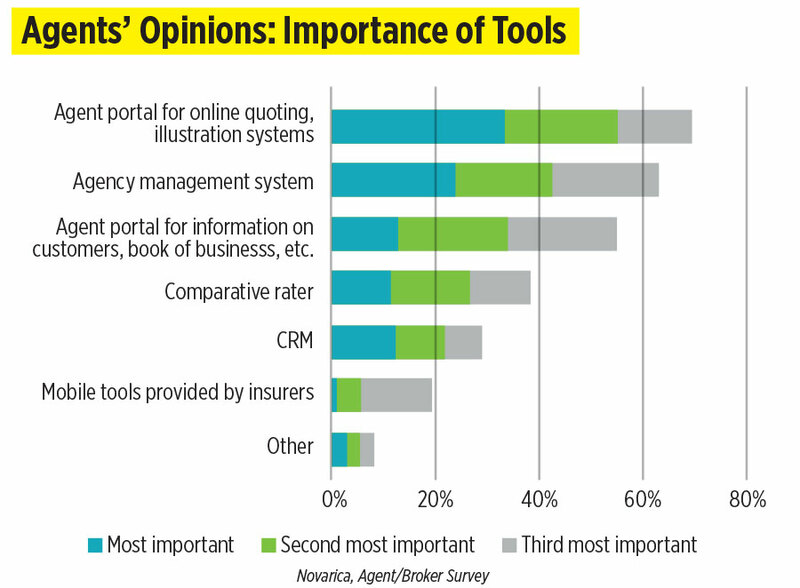 Does that leave traditional insurance agents out in the cold? 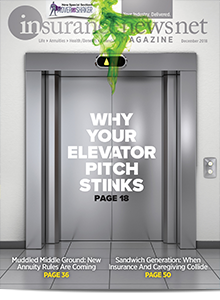 If anything, the trend of distributors offering more services allows agents to plug in. In fact, their IMO or brokerage general agency probably already has help at the ready. Alexander said the company has seen agents and advisors across the age range adopt tech. If e-acceptance crosses the age spectrum, so does non-acceptance. Just because people were brought up in an era when electronics became the norm doesn’t mean they love dealing with tech. Kristi Sullivan of Sullivan Financial Planning in Denver is one such Gen Xer who doesn’t want to become a techie but wants the benefits of tech when they make sense. She is a fee-only planner who does not sell any products. But she does love dealing with the numbers. Sullivan uses Money Tree financial planning software. But she does not ignore investments. Sullivan uses the Morningstar Premium platform to do analysis on portfolios and recommends changes. She refers to a list of insurance agents if she finds clients need insurance. Although she relies on the typical tech, such as financial planning software, Sullivan recently adopted a tool that made a little change but a huge difference. Like Sestok in New York, she uses Calendly to allow prospects, clients and even colleagues to schedule meetings. Well, not exactly meetings. Sullivan found that she was getting a lot of calls from people just starting out in financial planning who wanted to chat with her about the business. Invariably it was an invitation to go get a cup of coffee. The simple tool was like a one-weird-trick diet that dropped massive weight from her schedule. Sullivan makes sure she blocks the time she needs and the software takes care of the rest. She loves it and wishes she had done it sooner. That person was Arielle Minicozzi, co-founder of Sphynx Financial Planning in Chandler, Ariz.
Minicozzi took a circuitous route to opening her practice just a year ago as a millennial focused on helping millennials. She has an art degree and was working in the mortgage industry when she decided to be a financial advisor focusing on taxes. So she worked for H&R Block for a season before opening up her own registered investment advisory. She does not mind trying something new to see how it works. She loved the business of helping people but not so much running the business. She found ways that tech can do those jobs and now she has automated more than 85 percent of her workflows. When a client sets an appointment in Calendly, the software sends the client’s name, e-mail address and type of appointment to Mailchimp, an e-mail marketing platform. Then Mailchimp sends the appointment-setter a thank-you note. “And then a day before the call, they’ll get a call agenda sent to them so that they know what to expect when we speak together,” Minicozzi said. After the call, she sends them a manual thank-you e-mail with the details they discussed. Then an automated e-mail is sent with next steps, followed by other e-mails if the client has not set up a follow-up call. When she told other advisors about her processes, they asked her to help them. So, she has what millennials know as a side hustle. She is a paid tech consultant. Minicozzi found that the automation process is about more than tech for her colleagues. It is about standardizing their processes to build workflows — something Minicozzi requires before automation. 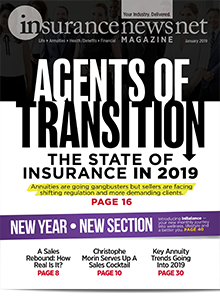 Steven A. Morelli is editor-in-chief for InsuranceNewsNet. He has more than 25 years of experience as a reporter and editor for newspapers, magazines and insurance periodicals. Steve may be reached at [email protected]ck.com. Follow him on Twitter @INNSteveM. [email protected].